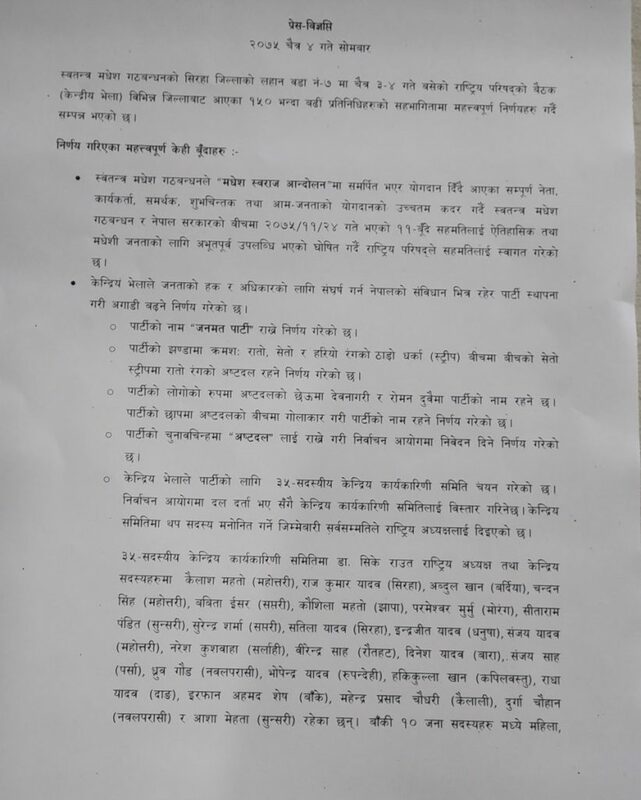 CK Raut, who had formed Alliance for Independent Madhes, has formed a new party after renouncing secessionist agenda. 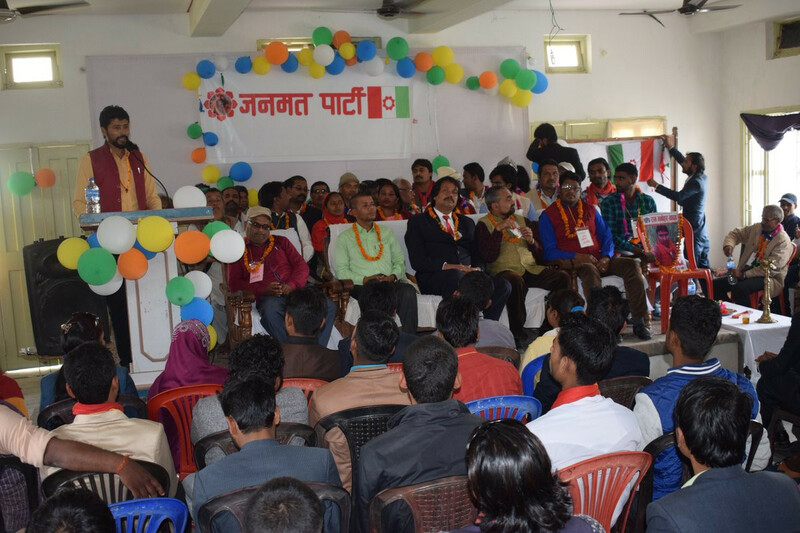 The two-day national council meeting that concluded at Lahan on Monday has decided to form a new party as per Nepal’s constitution and register it at the Election Commission. The party has been named Janamat Party and it will have a 35-strong central committee. The central committee will be expanded further after registration at the Election Commission, according to a press statement issued after the meeting. 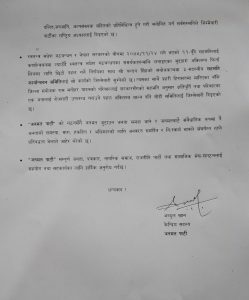 Raut signed 11-point agreement with the government on March 8 withdrawing his campaign for independent Madhes and accepting Nepal’s territorial integrity.